If you're in your 50s ... "Moisture, moisture, moisture," says Waldorf, should be your main concern in your 50s. Loss of tone and sagging are your biggest issues and creams and serums can only do so much. If you're looking for more dramatic results, in addition to using powerful products that contain peptides, retinoids, or alpha hydroxy or amino acids, consider talking to your derm about laser treatments and other non-evasive or evasive skin rejuvenation options if you haven't already. Step 3: For day, apply a peptide rich serum under your SPF daily to help build collagen. Look for one that also contains antioxidants to fight free radicals or hyaluronic acid to lock in moisture. Step 4: For night, apply a retinoid like retinol before your moisturizer "Generally retinoids are applied at night because most lose potency with exposure to ultraviolet light," says Waldorf. Step 5: Though it sounds too simple (and inexpensive) to be true, a simple petroleum jelly is tops at sealing in moisture, which is more important now than ever. Apply it following any treatment serums. As a mother of two I am in a constant battle between what I want and what our family budget says I can actually afford. I am always looking for a good bargain but there are some things, like my skin care, that I cannot compromise on! I've been a huge fan of Dr. Dennis Gross Skincare products for years; especially their Alpha Beta pads, but they can be pricey so thankfully one of my favorite sites, Skinterra, is having a great sale right now! Right now they are having a sale for 22% off their entire store (not just iS Clinical!) PLUS for a limited time if you spend $75 or more they will give you a deluxe size of iS Reparative Moisturizer- for free! Everyone is raving about this moisturizer, so I can’t wait to try it. I'm telling everyone I know so you had better hurry to take advantage before they run out! I wish that they would give some examples. I've been trying to find a good spot treatment but sadly none has worked. I'm 32 and I have fairly good skin and I don't want to use Botox or fillers, so I've been using YOUTH2Skin which gives my skin what it needs to be healthy and maintain. I've been using the bee venom mask for targeted wrinkles and spots. Thank you for this post! I definitely needed to hear this laid out so clearly! 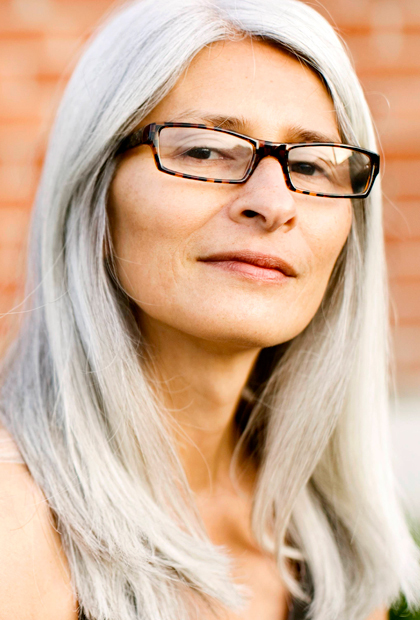 it is important to adjust skin regimen based not just on age, but on individual needs as well. Some people use the same products, and look great, others are constantly in search of things that work. @TheDivaRose and @kimber314, you are both so right. Some of my friends are in their early forties and some of them are so worried about reaching 50 (as if the alternative were better. LOL). Why do they act like when you reach your 50's, you are a lost cause? You are basically saying it's too late, we're old, too bad, deal with it. And Hades will freeze over before I put a petro product on my face. I'm 53, use the 40's regimen and am told often I look 10 yrs younger or more. Come on 50's ladies, keep up the good work. It does too pay off!